Heated/Cooled Leather Seats, Turbo Charged Engine, Aluminum Wheels. Bright White Clearcoat exterior and Black interior, Laramie trim CLICK ME! Leather Seats, 4x4, Heated Driver Seat, Cooled Driver Seat, Back-Up Camera, Premium Sound System, Satellite Radio, iPod/MP3 Input, Onboard Communications System, Trailer Hitch, Aluminum Wheels, Dual Zone A/C, Heated Seats, Heated Leather Seats, Heated/Cooled Seats Ram Laramie with Bright White Clearcoat exterior and Black interior features a Straight 6 Cylinder Engine with 410 HP at 5600 RPM*. ENGINE: 6.7L I6 CUMMINS TURBO DIESEL Cummins Turbo Diesel Badge, Electronically Controlled Throttle, Current Generation Engine Controller, Diesel Exhaust Brake, Selective Catalytic Reduction (Urea), Tow Hooks, 180 Amp Alternator, RAM Active Air, WHEEL TO WHEEL SIDE STEPS, SPRAY IN BEDLINER, ANTI-SPIN DIFFERENTIAL REAR AXLE, SINGLE DISC REMOTE CD PLAYER, REMOTE START SYSTEM, POWER FOLDING CHROME TRAILER TOW MIRRORS Chrome Exterior Mirrors, Exterior Mirrors w/Memory, Exterior Mirrors w/Heating Element, Trailer Tow Mirrors, Exterior Mirrors Courtesy Lamps, Power Folding Mirrors, Exterior Mirrors w/Supplemental Signals, TRANSMISSION: 6-SPEED AUTOMATIC (68RFE) 3.42 Axle Ratio, Tip Start. MP3 Player, Keyless Entry, Privacy Glass, Steering Wheel Controls, Child Safety Locks. 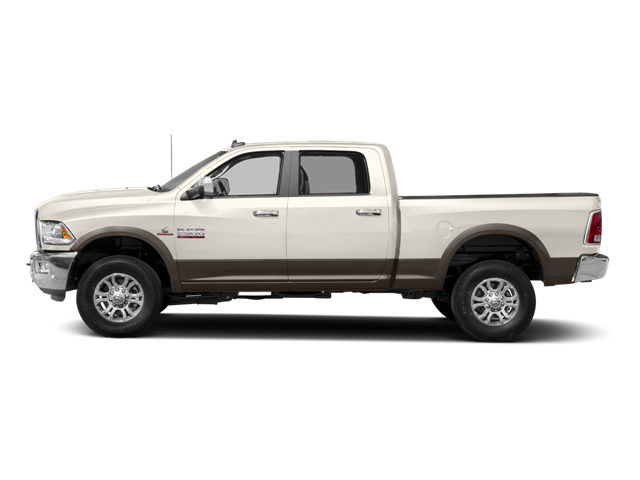 Hello, I would like more information about the 2018 Ram 2500, stock# DT2376. Hello, I would like to see more pictures of the 2018 Ram 2500, stock# DT2376.